All community professionals want to work at organizations where they have the buy-in to deeply invest in community. But many of us don’t. We’re fighting for that buy-in, so the true value of community can be realized. As the head of social media and community at The Economist, Denise Law leads a team of editors and writers in London, New York and Hong Kong, who are responsible for expanding the publication’s readership across social and digital channels. Previously, Denise spent five years as a journalist at the Financial Times in London and Hong Kong, where she helped to set up several online news publications focused on China and South East Asia. A native of Toronto, she has lived and worked in London, Hong Kong, Shanghai and Utrecht. 00:23 Patrick O’Keefe: Hello, and thank you for listening to Community Signal. Our guest this week is Denise Law, community editor at The Economist, a 173-year-old publication, offering authoritative insight and opinion on international news, politics, business, finance, science, and technology. Denise is going to give us an in-depth, behind the scenes, look at her efforts to get buy-in to overhaul community on The Economist website. As the head of social media and community at The Economist, Denise leads a team of editors and writers in London, New York, and Hong Kong, who are responsible for expanding the publication’s readership across social and digital channels. Previously, she spent five years as a journalist at the Financial Times in London and Hong Kong, where she helped to setup several online news publications focused on China and South East Asia. 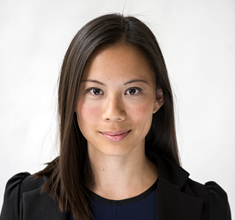 A native of Toronto, Denise has lived and worked in London, Hong Kong, Shanghai and Utrecht. Denise, welcome. 01:14 Denise Law: Thank you so much, excited to be here. 01:16 Patrick O’Keefe: It’s a pleasure to have you. So you are in the midst of a hopeful, online community of revolution, my words, at The Economist. Which is this amazing, historic, respected publication. I’ve been a subscriber in the past. Right now, you are doing a lot of social media awareness-type work, a lot of distribution, and a lot of one-to-one, brand-to-reader connection. More so than the community work of connecting groups of readers with one another. And that’s really where you want to get to, but it’s not an easy path. And that’s what I want to talk about today. On-site community at The Economist mainly consists of a comment section that, by your own refreshingly honest description, is in dire need of attention. And you’ve asked readers, and you’ve said, “A quick scan of some of the comments on economist.com, might suggest that we would be wise to shut them down. It would after all be an easy fix.” Those are your words, so why don’t you just close up shop? And whatever interaction you have with readers, in between readers, over to Facebook, or Reddit, or some other platform? 02:18 Denise Law: So one of the reasons is because we truly believe in the subscription model. And there are many publications that have decided to close up shop, forget about comments. It’s too much of an investment on their site. And to devote most of their resources to Facebook, where they’re getting most of their traffic and engagement, and to just allocate all their resources there. I, personally, think that that’s not a long-term strategy. It might work for publications who are very reliant on the digital advertising model, which I think is flawed. But as a news organization that’s trying to move in the direction of a subscriptions driven business, it is really important that we get people to come to our platforms, from social, from newsletters, SEO, wherever. And to stay on our platforms, because that is how we’re going to be able monetize our relationship with them. 03:05 Denise Law: In order to do that, it’s one thing to just put a CTA in front of their face, and say, “Subscribe now.” Which is one part of our strategy. But there’s also an element of, “Okay, how do we build our relationship with them? How do we make them feel special so that they ultimately subscribe?” And then, even after they’ve subscribed, that they want to continue being a loyal subscriber. And I think that is why we have decided, or at least, I’ve decided, and I’m trying to push this board at The Economist to not give up on comments, just yet. It’s not something that you can just throw a few dollars at, and hope for the best. You need to really invest time and energy, not just money, to cultivating that relationship. So that is the answer to your question, as to why we’ve decided not to close up shop. 03:46 Patrick O’Keefe: Yes, and admittedly that was a sarcastically asked, question. But I knew the answer was coming, because it’s tough. A lot of organizations have closed comments, and, like you, I see that as such a shortsighted strategy. I think it is so tough, because I talk to a lot of people in journalism and in the news media, about these topics. And I’ve had several of them on the show. And it just seems like, organizations that hand over their subscribers to platforms, that they don’t have a stake in, or they don’t really have access to the data, Facebook, Twitter, pretty much everything that is a popular, third-party, social media platform, right now. You don’t have access to the data in a meaningful way. You can’t take anything with you. If they decide that your access is over, your access is over. 04:32 Patrick O’Keefe: If they decide to cut your reach, as Facebook did a couple of years ago, that access to people is over, unless you pay for it, and that’s it. And so the ability to maintain a list and maintain list of people that you are directly connected to is… I don’t want to call it old school. I think it’s just intelligent. But it’s old-school news media-type things. They used to be your subscriber list. You used to know all your customers, and the internet has broken that up. Which is good in some ways, bad in others. And I’m not saying to become a hermit. But understanding that direct connection seems really important to me, when it comes to the survival of good news media. 05:10 Denise Law: Absolutely. I mean, you were saying earlier that a lot of publications are really reliant on social media. I’d like to believe that, for us, social media is means to an end, rather than an end in itself. So when I hear that publications want to go all in, with Instant Articles, or Facebook Live, I’m just like, “All right, hold on a second here. What are we trying to achieve? Are we just doing it because everyone else is, or are we doing it because it’s actually helping us to achieve our goal?” And I had mentioned this, briefly, in my email to you, about how, for us, we invested in social media because we realized that we have a lack of awareness problem. In the states, 50% of progressive Americans have never heard of The Economist, believe it or not. And many more think we only write about economics and finance. So social media plays an integral role in helping us myth-bust, right? 05:55 Denise Law: But that’s only one element. We also have to engage with our audiences. And some of the experiments that we’re running on our different platforms, where the environment is more conducive for conversations, such as Quora, Medium, and Reddit, we’re finding that people do want to know more about The Economist. They want to know about the face behind the faceless brand. 06:13 Patrick O’Keefe: Right, behind the big red square. 06:15 Patrick O’Keefe: Or the red rectangle. I would like to take a moment to recognize our excellent sponsor, Higher Logic. Higher Logic is the community platform for community managers with over 25 million engaged users in more than 200,000 communities. Organizations worldwide use Higher Logic to bring like-minded people together by giving their community a home where they can meet, share ideas and stay connected. The platform’s granular permissions and powerful tools, including automated workflows and consolidated email digests, empower users to create their own interest-based communities, schedule and manage events, and participate in volunteer and mentoring programs. Tap into the power your community can generate for you. Higher Logic, all together. 06:53 Patrick O’Keefe: Before the show, another thing you told me was that, “Frankly we’re not thinking as much about community on a platform as I’d like us to.” And you, also, say that, “You’ve struggled to lobby for internal support to overhaul our comments platform on economist.com,” even though, once again, it is in dire need of attention. You manage a team of 10 social media editors, and writers. So obviously, The Economist, whatever that means, the powers that be, whatever, they place a value on social media. And they’re comfortable placing eggs in the baskets of Facebook, Twitter, Medium, any of these other platforms that can in turn decide how to shift those eggs, without regard, necessarily, for The Economist’s interests. But community, as you’ve just said, where you have actual ownership on your own platform, has to fight. Why aren’t people on board? What are challenges, that you are seeing, as you try to get the buy-in that you need? 07:43 Denise Law: I think the challenges come back to very basic challenges, that any magazine, media organization have. Which is, the knee-jerk reaction is to be scared of change. So when the social media team was launched, there was a lot of skepticism within editorial. So that was a decision that was approved by the board, right? That we should expand our team from 3 to 10 people. And then it took me nearly two years to convince people that this was something that we should care about, two years, right? And the first six months were pretty painful, because nobody wanted to talk to us, or get involved. And we had to start with the small wins, etc. 08:17 Denise Law: As I was doing the social media element, and as I was gaining more respect, and being that evangelist for social, I started realizing that we were missing a trick by just pushing our content out into the world, but not necessarily engaging with our audiences. And that’s why I, also, wanted to push more on the community front. Now with regards to internal resistance towards community, and why people, finally, embraced social more than community, I think people tend to associate community with comments. And I think that was one of the mistakes I made. I should have focused more on the problem we were trying to solve, and reframing the discussion around, “How do we create a space, on our platforms, that’s conducive to high quality debate, the type that The Economist is known for?” But I was so obsessed with trying to fix just how broken our comments system was. Fixed on just comments as the solution when I should have been focusing more on the problem. 09:08 Denise Law: And the problem with just focusing on comments is that people already have a pretty negative impression of them. Especially, you’ve seen how they’ve devolved into a cesspit of racist, and one-sided diatribe. And then, for a lot of senior people, they don’t comment. They don’t see the point of commenting. And they don’t, also, see the immediate ROI. Social media was difficult, at the beginning, to demonstrate the ROI in social media. But now because we work so closely with marketing, it’s very hard to dispute the fact that social media, our efforts, organically, have helped the marketing team to get more subscribers. So the struggle that I’m dealing with, internally, is people see it as resource intensive, high effort, potentially, low ROI. 09:51 Denise Law: And people are afraid to put money into investing in community, when they could, for example, go for a more easier win. Which is to put a call to action, telling people to subscribe, because you know that you can get an immediate subscription from that. So for me, it’s really… I’m struggling to be able demonstrate the ROI of community, without people coming back and saying, “Well, how does this lead to subscriptions?” You know what I mean? So my solution has been… I’m hoping to run small-scale experiments, off platform, as a way to put together a business case for why this is important. 10:21 Patrick O’Keefe: That’s a really interesting insight. Focusing on fixing comments, instead of, I guess, the end result, with a goal. And, I guess, goals could be things like, decreased churn, or generating sources. Or, to the right eye, increasing time on site, keeping people on the page, if people care about the ad model. But it’s funny, you mentioned, you had to spend this amount of time getting this buy-in. Or, this amount of time, to get people to believe in social, and give you these resources. Was it a hostile hiring? Did people at first… weren’t interested in social. You’ve been there two years, in July, I think. Did you feel like a person in a strange land, when you first joined the organization? 10:55 Denise Law: Well, interestingly, Patrick, I used to work at the Financial Times. So I already had some experience dealing with skeptical folks, who didn’t even believe in the concept of audience. So in my previous incarnation, I was a journalist. And then I moved into a role called, community analyst, which confused the heck out of people. And it actually, even I struggled to be able to communicate what the job was. Even though I understood what I was meant to do, people just couldn’t grasp this concept of a community-oriented person. What’s the point of community? So anytime I deal with resistance, my first thing to do is just diagnose why someone is resistant. And, typically, they’re resistant to change because if they’ve been doing one thing for 20 to 30 years. And now they’re being asked to, say, respond to comments, or copy check a social media thing, or to write a tweet and Facebook post. It’s quite jarring. So I always come from that angle. Which is, these people have been doing an incredible job, for 20 to 30 years, and change is really scary. 11:53 Denise Law: And instead of telling them what to do, showing them the benefits of how caring more about what your audience is saying, and giving them examples of how, “Look at what we’ve done to tailor you’re print article for social media. And we were able to increase its reach by five times.” And constantly, every week, Patrick, I was spamming people with just examples, success stories, and celebrating the small wins. And I think that’s something I need to be able to do with community, specifically, now. 12:21 Patrick O’Keefe: Looking at now, social media versus community, do you think that the allure of in pubic, right, publicly displayed, vanity metrics, that we can all see, plays in a part in why investment in social is, perhaps, easier today for people to swallow? 12:36 Denise Law: Potentially, but I also think there is a, “keeping up with the Joneses,” mentality, as well. Because there are very few publishers, I can’t even name any right now, that are not on social media. And if you look at the data, you can see that if you took social media out of it, if you just took social referrals out of our overall traffic referrals, The Economist would be struggling. 12:59 Denise Law: So it’s very difficult to dispute against the data. Which shows that social has played such an important role, in not just promoting the new content, but we do a lot with our evergreens, as well. So yes, there is an element of people are obsessed with the vanity metrics, which I’m trying to move them away from. But I’m starting to get people to celebrate things like, “Oh, wow, through social media we’ve been able to get people to spend more time on the site, to sample a breath of our journalism.” Rather than just, “Oh, we’ve got 40 million followers,” which doesn’t really mean much. 13:33 Patrick O’Keefe: You mentioned experiments before. I want to talk about that. You’re running experiments and gathering data based upon your work on Medium, Quora, Reddit, Facebook. That will, hopefully, give you the data-based ammo that you will be able to, “Use it to help build a business case for overhauling comments on site.” Talking about those efforts, what experiments are you running, and how do you think the data might help that case? 13:56 Denise Law: So I’ve got two sets of data. So I’ve got the experiments that I’m running off platforms, so Medium, Quora and Reddit. And then, over the past six months, I’ve been doing user interviews with subscribers, and social media people, to ask them about their experiences with comments, to help shape this business case that I’m putting together. So I’ll start with the off-platform experiments, because they’re quite interesting. And I have more control over them since I head-up social media, and I have control over what goes out on these distribution platforms. Medium has been a fantastic sandbox for us. And not that many publishers are dabbling in that space, or at least not the really big publishers. I think The Washington Post is doing something interesting there. The FT is posting… their lunch with the FTs. We’re doing many different things. So we posted some stuff around our Christmas edition. We also did a Medium take over with our US elections coverage. 14:42 Denise Law: And more recently we’ve been trying to do more with Inside The Economist. So showcasing what it’s like behind the red logo. So how do we do debates every week? How do we debate what goes on the cover, and also soliciting the feedback from our audiences. And what the data shows there, in terms of, what is most successful, is people want access to the behind the scenes stuff. They want to interact with our journalists and correspondents. And they, also, want to be able to get to know us a bit better. And what’s really interesting about our successful experiments on Medium, is that it chimes with the quantitative data that I’ve been doing through my user interviews, as well. 15:23 Denise Law: So I’ll quickly I’ll share with you some really interesting stats. So we ran two surveys, one through economist.com, and one through social media. And we asked people, “What kind of changes would prompt you to get more involved in the comments section on economist.com? And what was really interesting was the first thing people said was, “Well, if the overall quality improved,” which was the goal of this project anyway. And two, if editors and correspondents responded. So I think, what I’m trying to do now is merge this quantitative data that I’m trying to get through user interviews, as well as, the qualitative data from the feedback, as well as, the experiments on Medium, Quora and Reddit. 16:59 Patrick O’Keefe: I have a friend, one of my closest friends, and he’s subscribed to The Economist for years. He reads the print addition, and the website, and listens to the occasional podcast. He’s also really digitally savvy. We, actually, met in an online community, a long time ago. And that’s how we became friends. And I’ve been to his house several times. I know his family. Like I said, we’re really close. And knowing that I would be speaking with you, I asked him if he’d ever interacted with The Economist, in a way, that he would consider community. And his answer was that he didn’t even know you had a community. 17:27 Patrick O’Keefe: So that’s not a good thing. I think it’s funny, because it would seem like that The Economist has this great opportunity to create a community of thinkers, of people who take an intellectual approach to debate. And he would be one of those people. But it does take resources, and time, and people, not just tech, but tech and people to be able to do that. When you talk about, “How do I go here without being trolled.” Well, there’s no tool that you can deploy, in the world, that’ll stamp all that out. You have to have people on it, too. And that takes resources, and it takes the buy-in, once again. But it seems like such a great opportunity, and, maybe, it’s a subscriber only opportunity. Maybe it’s a public opportunity. I don’t know. I’m sure these are things that you are thinking about. Where the community… in the best-case, long-term scenario, could become a perk of subscription, a benefit ticket, continuing to pay each month, not just the articles, and the authoritative opinion and commentary, but also this great debate that occurs between readers. 18:26 Denise Law: Absolutely, there’s this great saying, and, I think, it was invented by someone internally. I can’t remember who, “That a person in London, on the tube, reading The Economist, will have more in common with someone in Hong Kong reading The Economist, than the person that they’re sitting next to in the tube.” Said much more eloquently by the person who invented it the phrase. I can’t remember who said it, but that’s exactly this idea of the global community. I’m not as interested in creating these micro-communities of like, say, Economist people who are interested in tech. And Economist people who are interested in, say, politics. Because our data shows that the type of Economist reader, who’s truly loyal, is the one who is interested in the breadth, and depth of our content, right? 19:07 Denise Law: So Bill Gates is one of our most loyal fans. He reads it cover to cover. But not everyone else does, right? And I think there’s an element of… essentially, people who read The Economist are interested in this broad, global perspective of what’s happening around the world. And I feel like we are missing a trick when we’re not harnessing their knowledge and harnessing their intellect, because our goal is to target the globally curious, right? That is the demographic that we have chosen to target. And apparently, according to our research, there are 80 million globally curious progressive types around the world, English speaking, right? And we have, probably, tapped into about 3 million of them. And I would like to believe that not all of them are going to be able to read The Economist, cover to cover. That’s not going to be their experience, like Bill Gates, right? Some of them might want a more of a community element. They want to interact with others, who are loyal Economist subscribers. They might want to only read The Economist a few times a week, but be able to take part in exclusive discussions. That’s where I feel like the opportunity is huge, and it’s not currently being looked at. 21:34 Denise Law: As opposed to, “What does this mean for what we can do on Economist.com?” So I’m still trying to get people to be as interested, and enthusiastic, about these audience-engagement, community platforms, that we have no control over as they are on trying to cultivate higher quality debate on the platforms over which we do have control. 21:59 Patrick O’Keefe: You told me that, “The rise of digital has forced media companies to actually learn how to make money.” Which I think is a fun, true line, whoever come up with it. And how do you think that this community based efforts, not just at The Economist, certainly, but also across the media landscape. How do you think that these efforts tie into that, learning how to make money? 23:01 Denise Law: Previously, it didn’t really matter, as long as the money was coming in from these advertisers, who were paying our bills. I mean, we assumed that people were reading our content. We assumed that readers were enjoying it, but that wasn’t what was funding the bottom line, right? What was funding the bottom line was advertising dollars. Now what’s funding our future, and our salaries, is, increasingly, for a lot of news organizations, subscriptions. And subscriptions, when you become a subscriber, it forces media companies to start adopting some of the customer experience strategies, that you’re seeing being used by startups, that are very successful, in this space. Such as say, Airbnb, or Amazon, who people talk about a lot, and rave about a lot, when it comes to customer experience. This idea of customer experience, subscriber experience, audience engagement is completely new to media organizations. 23:55 Patrick O’Keefe: I guess it’s a way to think of competition, right? But not competition with other news media organizations, but competition for dollars, because there’s just so much you can spend an ad dollar on now. Oddly enough, most of it’s going to the companies, in one way or another, that we’re talking about today, as being third party platforms. Whether it be Google, or Facebook, not only are they the platforms that are controlling a lot of the access to the people that you want to have as subscribers. But they’re also the companies that took a lot of the ad revenue away from what used to be fairly small group of radio stations, newspapers, and television networks. 24:27 Denise Law: Yeah, no, that’s why I find it almost hilarious, if I may, that so many publications put all of their effort into these third party platforms, that are, essentially, undermining their business model. That’s why, for me, these third party platforms, as I said earlier, it’s to help you solve a business problem of trying to get your content in front of more people, but, fundamentally, you need a sustainable way of making money. And for those that are moving towards a subscriptions path, caring about the customer is integral. And, I think, community plays a really important part of that. Because, community is, for me, another really fancy word for improving your customer experience. Understanding what your customers want, and what their means and behaviors are. So even this idea of, not just community, but product development, the concept of building products that are customer focused. Also, completely new, for legacy media organizations. 25:18 Patrick O’Keefe: Is there any resistance, in these news media organizations, where part of their brand is being intellectual and authoritative, right? All news media organizations should be like that, but some have a bigger reputation for that. Is there more resistance, do you feel, in those organizations? More likely to be resistant, to give equal space, in a sense, to the reader, right? To the unwashed masses, so to speak? To share that space? Is that something you see at all? 25:46 Denise Law: You’ve got the letters pages, in the print addition, right? Which is to celebrate the voice of the reader. But what I found very interesting was, I heard that one of the main reasons we put comments on a separate page on economist.com, was because when… This is before my time. When The Economist built it’s first comments platform, many years ago, journalists and editors were scared that the comments would devalue the journalism if they appeared on the same page. Which is completely contradictory to this idea of the letters pages. Now mind you, on the letters pages, everything is curated, right? So my argument is, “Okay, that’s fine. We want to preserve a quality, and reputation. So why don’t we apply the same ethos, as we do to the letters pages. Curating intelligent debate, by doing the same thing on economist.com.” Going through the comments, right? Maybe we don’t need to have comments across the entire site, but encouraging people to submit intelligent insights. And then we publish the ones we think are fascinating, even if they disagree with us, right? Applying this mentality that we do on the letters pages, to economist.com. 26:48 Denise Law: So that’s what I’ve been trying to lobby for. And I think, again, because the effort here is so big, the knee jerk reaction is, “Well, that’s just oh, you know, why bother? We don’t even know if that’s going to lead to good results. We don’t know if that’s going to lead to more subscriptions.” But things, we won’t know, unless we try. 27:04 Patrick O’Keefe: The Economist magazine, I haven’t looked at one in while, but it’s still has letter section, right? 27:09 Denise Law: Yes, it does. 27:10 Patrick O’Keefe: As many print outlets still do have a letter section, or letters to the editor, I’m curious. I don’t know if people publish numbers on, how many letters they receive, versus how many comments they receive online? I think it’s funny to think about, has that number decreased? Do you receive less letters to the editor in 2017, than you did in 2007, or 1997? I don’t know, I don’t know what the relevance of it is. Obviously, people are moving online to comment more, and more. So a lot of people, and, especially, people as generations fade out, as people pass away, as, one day, millennials become 50-year olds, their propensity to write paper letters, print letters, to anyone, is dropping like writing checks is dropping. And I’m sure you can email letters, probably, as well. But I, just, think it’s funny to think about that volume dropping, and how that relates to comments, and to onsite community. 27:59 Denise Law: Well I haven’t looked into this, but I do hear from our letters editors, that we still get quite a lot each week. Most of them by email. And some of them are very amusing. And we get letters from prime ministers, government officials, from emerging markets, to developed markets. And we publish those, because we want our community of readers to know that they’re among intelligent people. So what’s really ironic here, Patrick, is that community is baked in to a lot of the traditional ways in which we do journalism. But the moment you try to translate that onto digital, there’s this inherent resistance. So I’m going to have to work much harder in trying to make people realize that this isn’t rocket science. It’s really taking what we’re really good at, and amplifying it in the digital arena. 28:44 Patrick O’Keefe: It sounds like you’re doing a good job already. 28:47 Denise Law: I hope so. 28:48 Patrick O’Keefe: And to that end, I mean, I expect you to get this buy-in. It’s going to happen, okay? That’s just going to happen. It’s going to be reality. So when that happens, looking at the information you know now. This will change. You’ll learn more. You’ll run more experiments. You’ll figure it out, but if you had that buy-in today, what’s your ideal scenario? What do you start working on? What do you want to see on The Economist website? 29:07 Denise Law: The first thing I’d like to do see is an improvement in the quality of contributions. That’s the first thing I want to see. I want to see, not necessarily, more comments, but more, better quality ones, right? And it is a bit of a chicken and egg scenario. So one of the first things I would have to do, and test, is, would it make a difference, and this is something that me, and the product manager, are trying really hard to push through over the next month. How big of a difference would it make if we had a featured comments widget on an article page? So we went across the site, and we collected what we thought were the best comments. And we featured them prominently. What would happen to the quality? A, and B, what would happen to engagement on the site? 29:50 Denise Law: That’s one of the first experiments I want to run, because one of my hypothesis, is that readers want to find a place for high-quality reader contributions, and civil debate. They want to read comments and/or contributions, whatever you want to call them, that add value to an article, including one that offers an opposing view, which I found fascinating. It just goes back to this idea that the globally-curious, intellectual type, do not mind reading about disagreement. They don’t mind, because they believe in critical thinking. And want to feel like they’re part of a intelligent discussion. So this came out, a lot, in my user interviews. And this is something that I’d like put to test over the next month. And I’m happy to report that there is progress on this front. Thanks to us being able to demonstrate that if we can just hire a developer for a month, what are the kinds of things that we want to be able to experiment, and test within that month, to be able to build on to this business case. So I essentially, just stripped everything back, and decided to start small. You can probably tell that I’ve been banging on about this for a very long time. 30:50 Patrick O’Keefe: No, no, I mean, join the club. No, I’m with you there. Denise, thank you so much for taking the time to come on our show, and to really share the experiences that you’re having right now, as you sort through the challenges of getting buy-in, because, I think, it’s something that a lot of people don’t talk about, or won’t talk about, until it’s like years behind them. And so, to be able to have someone come on the show, and share it in the moment, I think, is really refreshing and valuable. So I appreciate it. 31:18 Denise Law: Right, thank you so much for your time. I hope that in two months time, I’ll be able to update you with positive news. 31:24 Patrick O’Keefe: I look forward to it, and whether it’s two months, or two years, I’m sure that it’s coming. Hopefully, two weeks, but we’ll see how it goes. We have been talking with Denise Law, community editor at The Economist. You can read insights from The Economist’s digital playbook, including from Denise, at medium.com/severe-contest. For the transcript from this episode, plus highlights and links that we mentioned, please visit communitysignal.com. Community Signal is produced by Karn Broad, and we’ll be back next week. See you then.